It isn�t often that an artist introduces a sound engineer to a new piece of audio equipment � usually it is the other way around. However, this is what happened when British-born singer/songwriter Leo Sayer discovered the benefits of DPA�s d:facto� Vocal Microphone. As a result of his good experience he was happy to introduce them to his long term sound engineer and production manager Damien Young. Now based in Australia where he has lived since 2005, Leo Sayer began using d:facto Vocal Microphones during his last UK and European tour when they formed part of the audio itinerary supplied by Cliff Brothers. He was so impressed with their sound that on his return to Australia he asked Damien Young to source wireless d:facto mics for his forthcoming Australia and New Zealand tour dates. DPA�s local distributor Amber Technology was delighted to help and after demoing various versions, Sayer purchased two 4018V capsules because he loves the extra presence this capsule gives him. 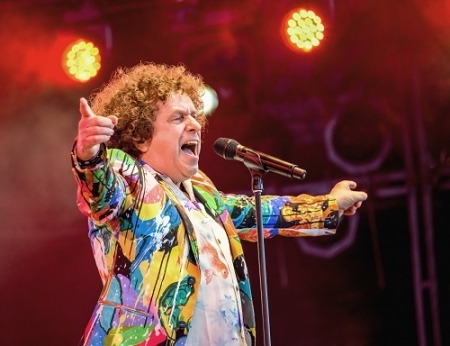 With a song writing and singing career that spans four decades and includes numerous Top 10 hits, Leo Sayer is a consummate performer who is equally at home on the live stage as he is in the studio. He has been working with Damien Young since moving to Australia and over the past 14 years the pair have formed a strong and loyal partnership. Young�s own audio experience is vast and eclectic and includes the roles of sound engineer, tour manager, production manager, FOH and monitor engineer and head of production company Ultrasonics Audio Engineering. During his years in the business he has worked with artists such as BB King, Alice Cooper, James Brown, Eric Burdon, Jose Feliciano, Chubby Checker, Marie Wilson, Black Sorrows, The Bangles, Donny Osmond and many more. He is also a musician in his own right and is currently performing regularly with Little Feet Music Children�s Entertainment.